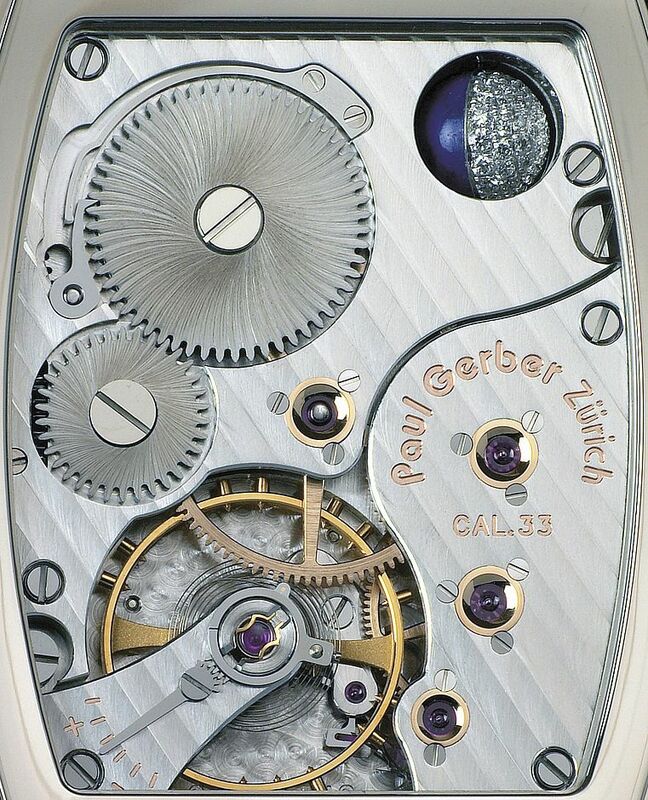 After countless hours of design, research and engineering, Paul Gerber finally accomplished his goal of incorporating a 6mm spherical moon in his new calibre 33 movement. 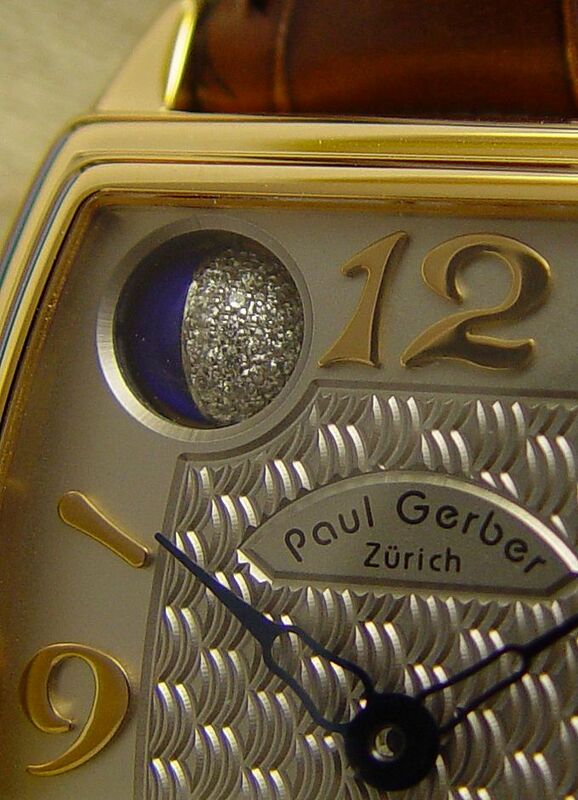 Paul Gerber’s inventive genius makes it possible that the moon phase once set will be correct for 128 years. 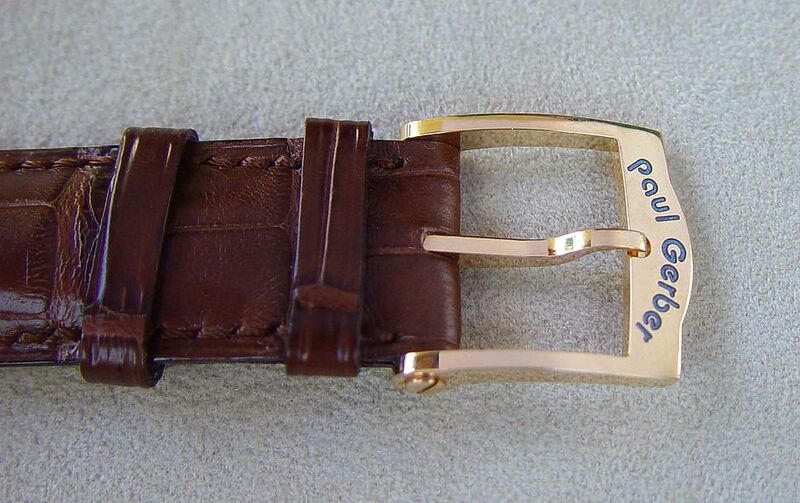 (Provided the watch was kept running for this period of time). Half of the spherical moon is made of Lapis, representing the dark side of the moon, and the other half contains 54 brilliant cut diamonds representing the full moon. 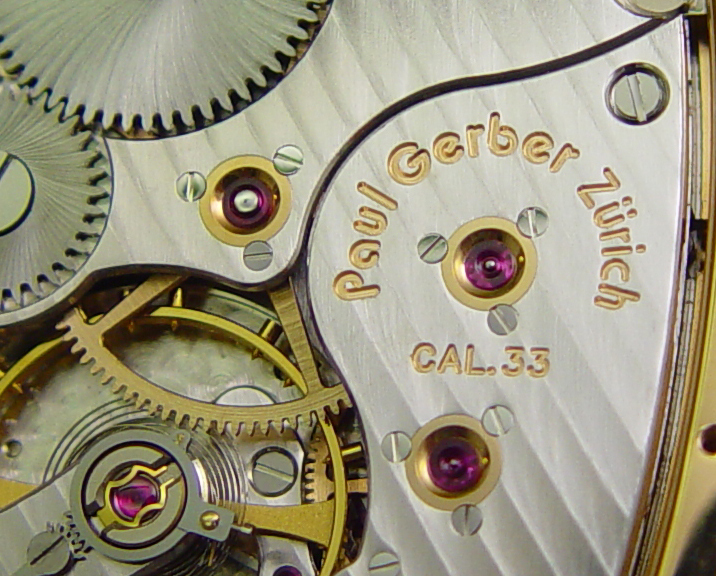 After extensive research and development, Paul Gerber succeeded in designing and building a new escapement for which he filed an application for a patent. 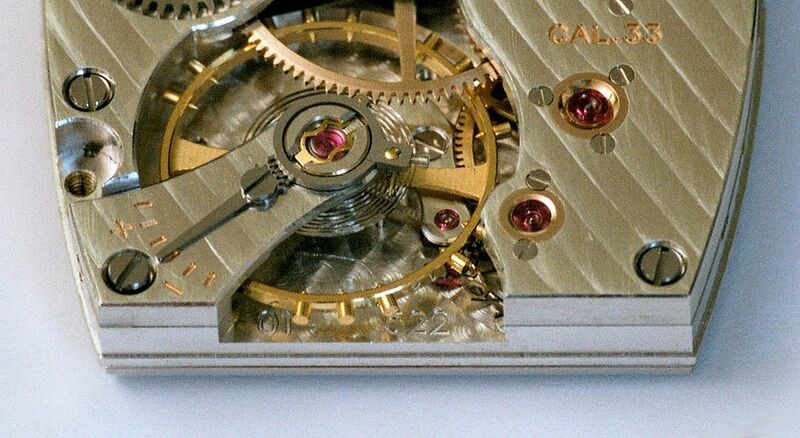 This novel escapement operates on the principle of equal opposing forces. It incorporates a large stationary wheel, a small impulse wheel and anchor. 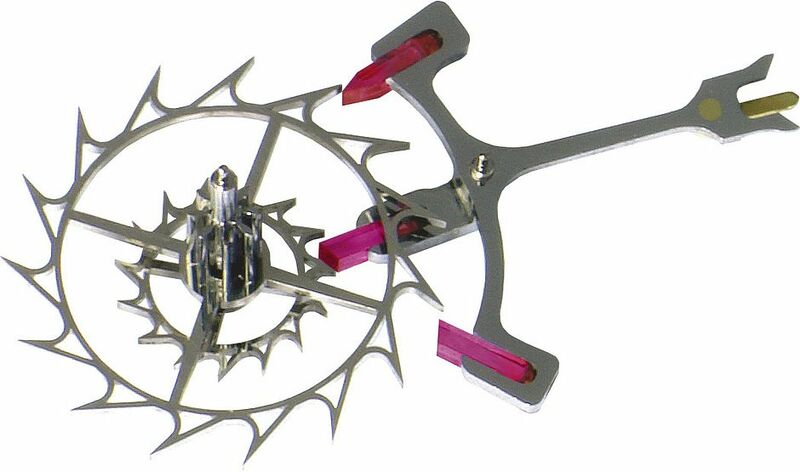 This new escapement incorporates 3 jewels. 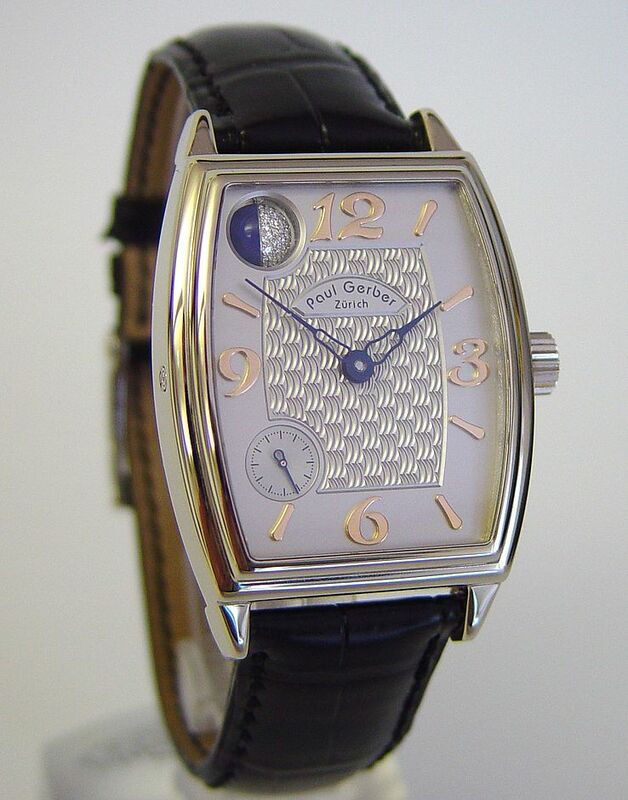 Paul Gerber’s in-house Caliber 33 hand wind shaped movement is enshrined in a beautiful Platinum, White or Rose 18ct Gold tonneau shaped case. The Caliber 33 bridges are decorated with the «Côte de Genève» at a 33 degree angle. The edges of the bridges are chamfered. 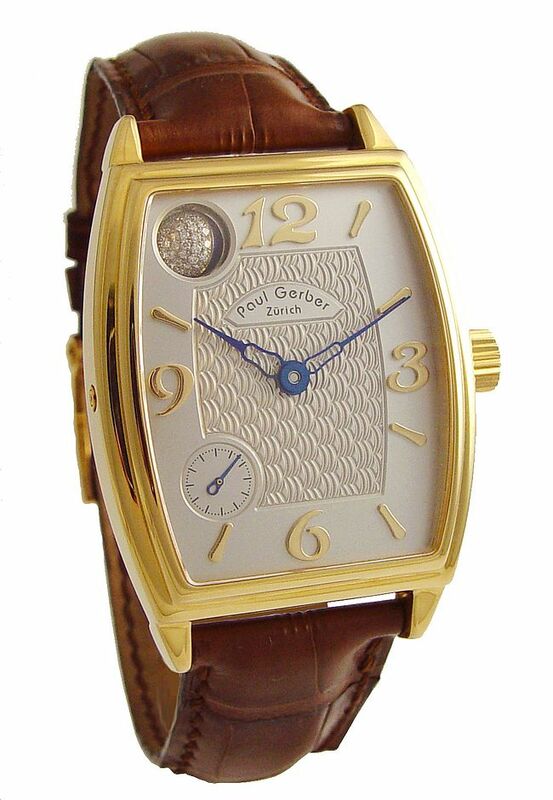 The movement incorporates 18ct Rose Gold gearing and screwed down châtons, which give testimony to the precise methodical design and manufacturing of this unique time piece.